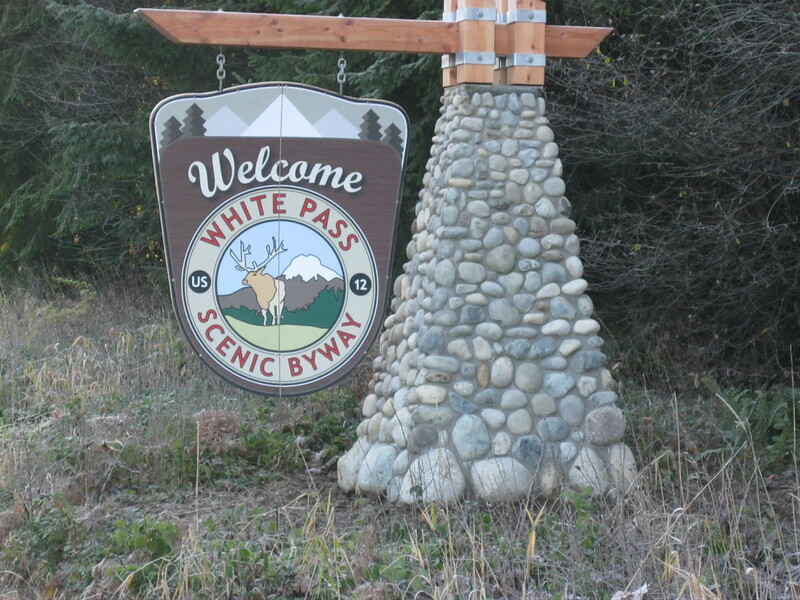 The White Pass Scenic Byway provides an exceptional traveler experience combining information and amenities, and vibrant local communities with unique character and hospitality. As the Byway becomes recognized as a travel destination of regional and national significance, more travelers are planning multi-day itineraries to experience the Byway. For many visitors, from within the region or around the world, the Byway is a route for exploring Mount Rainier, Mount St. Helens and Mount Adams. Discover amazing recreational opportunities all along the Byway, in every season. Visit our website and follow us on Facebook, Twitter and Pinterest for all your trip planning needs. Funds for the Byway marketing program are provided by Lewis County Lodging Tax dollars. The Mobile App was paid for in 2017 and 2018 from a Secure Rural Schools grant from the US Forest Service. Without these agencies, this program would not be possible.